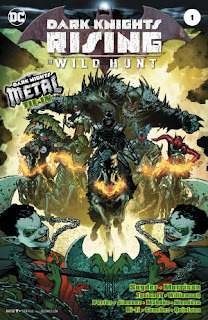 It is not a surprise to see Grant Morrison's name on the cover of The Wild Hunt, alongside co-writers Scott Snyder, James Tynion IV and Joshua Williamson. This entire Metal tie-in positively screams Morrison, not simply because it's playing with a lot of his ideas - the Multiverse, inter-dimensional harmonic travel, and the like - but because structural it feels like a Morrison event book. 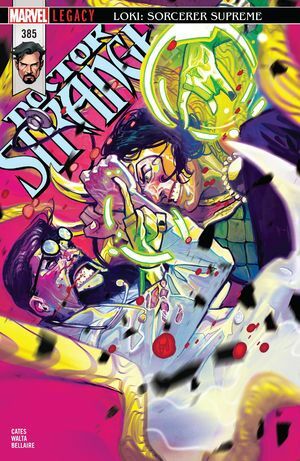 It boasts a wide cast of second-string heroes (Batman, Superman and Wonder Woman are MIA), has a complex and jargon-filled story that is packed with offhand references, and scenes that are almost implied rather than played out. You definitely get your money's worth here, as long as you keep up with it. There is always a certain disjointed quality when a book has multiple art teams on it, and despite three strong teams working here there don't precisely sew up together. It's up to the reader whether that's a big problem or a minor one. Dark Knights Rising: The Wild Hunt #1. DC Comics. Written by Scott Snyder, Grant Morrison, James Tynion IV, and Joshua Williamson. Art by Howard Porter, Jorge Jimenez, Dough Mahnke, and Jamie Mendoza. Colours by Hi-fi, Alejandro Sanchez, and Wil Quintana. Under the cut: reviews of Action Comics, Doctor Strange, and Xena: Warrior Princess. DC Comics. 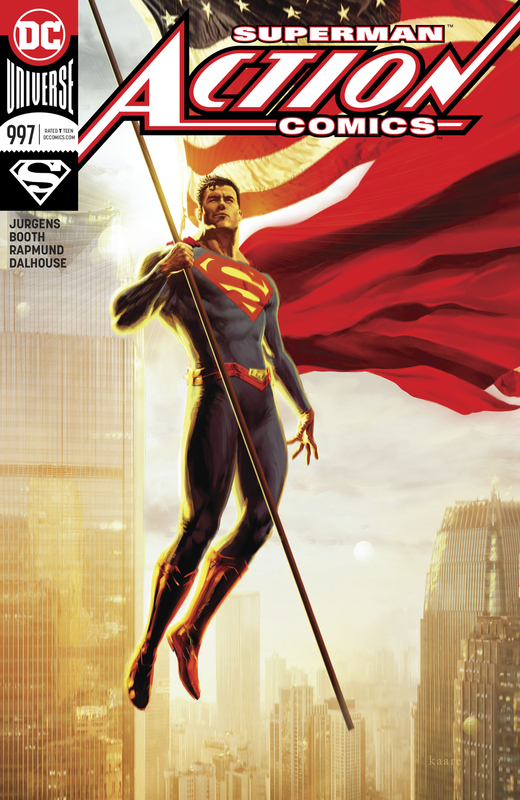 Written by Dan Jurgens. Art by Brett Booth and Norm Rapmund. Colours by Andrew Dalhouse. Marvel. Written by Donny Cates. Art by Gabriel Hernandez Walta. Colours by Jordie Bellaire. Dynamite. Written by Meredith Finch. Art by Vicente Sifuentes. Colours by Triona Farrell.